Why Invest in Hybrid or Balanced Mutual Funds? 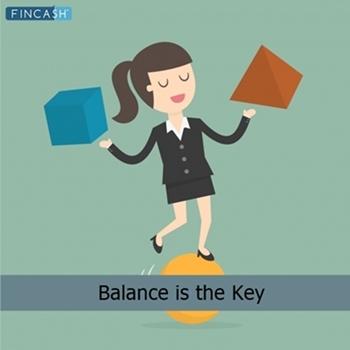 How to Invest in Balanced Funds Online? Hybrid Funds are also commonly known as Balanced Fund. Hybrid funds are a type of Mutual Funds that invest in both equity and debt mutual fund. 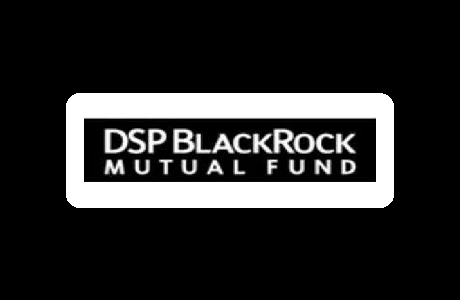 In other words, this fund acts as a combination of both debt and equity, where about 65% of the portfolio is dedicated to equities and the rest to fixed income instruments. Hybrid funds are a great option for the investors who fear of Investing in Equity Funds. This fund will reduce the risk portion and also help in gaining optimal returns over the time. To earn the best possible profits, investors are advised to invest in best hybrid mutual funds or best balanced funds. Thus, to make the process of investing easy for you, we have shortlisted some of the top performing hybrid funds to invest in 2019 - 2020 in article below. Hybrid funds help in balancing the portfolio. As the fund invests in both stocks and Bonds, investors can easily create a balanced portfolio by investing in a balanced mutual fund. This scheme also provides diversification benefits. Diversification helps in generating stable returns; so that if one fund underperforms, others can stabilise the portfolio. This will reduce the overall risk of the portfolio. Hybrid or balanced funds are also a gateway for those who want to begin their equity investments. This will help in gaining optimal returns within a short to mid tenure. This will also prevent the larger downfall of equity from the ever-changing market conditions. Moreover, hybrid funds carry a moderate level of risk, whereas equity funds have a high level of investment risk. Ideally, hybrid funds can be a good investment option for investors who want to invest in Mutual Funds. These funds have the best of both worlds: the advantages of equities while gaining the benefits of a fixed income investment. Thus, investors can choose the above listed best hybrid mutual funds and earn good profits by investing in the scheme. In India, Balance funds typically invest 65% of their portfolio in stocks/equity/shares and the remainder of their resources in bonds and other debt instruments like corporate bond/ Government Bonds/ Infrastrcuture Bonds. So balanced funds are usually equity-oriented hybrid funds. They serve as a suitable option for first-time investors who have low-risk appetite. They are for investors who do not want to take on risky options but still want capital appreciation. Also there are Debt oriented hybrid/balanced funds having 65% and 35% Equity. Based on recent (Mar - Apr 2018) categorization of Mutual funds by SEBI. Types of hybrid fund as follows. Balance funds provide a convenience of diversification in form of a single docket of a mutual fund. An investor thus needs to go through the hassle of analyzing and selecting a bouquet of funds. A professionally trained and experienced fund manager does this job for the investor. A calculated combination of debt and equity components makes the funds less vulnerable to market volatility. The equity components of the fund are aimed at generating capital appreciation and their debt components serve as securities to shield the investment from unforeseen market corrections. While it might seem that balanced funds are virtually risk-free, it is not entirely the case. Balanced funds have their own share of risk. While in case of a direct investment across a number of stocks and debt instruments, one can relocate the resources among different funds as diversification for Tax Planning or wealth creation. However, in balance funds, since the decision of resource allocation is with the fund manager, customized diversification is not possible. Balanced funds have given better risk-adjusted returns in the long run compared to equity returns. A comparison is given below is based on certain assumption which might change time to time in future. The Scheme seeks to generate regular income through investments primarily in debt and money market instruments. As a secondary objective, the Scheme also seeks to generate long term capital appreciation from the portion of equity investments under the Scheme. However, there can be no assurance that the investment objectives of the Scheme will be realized. ICICI Prudential MIP 25 is a Hybrid - Hybrid Debt fund was launched on 30 Mar 04. It is a fund with Moderately High risk and has given a CAGR/Annualized return of 10.1% since its launch. Ranked 2 in Hybrid Debt category. Return for 2018 was 5.1% , 2017 was 12.9% and 2016 was 10.9% . Growth of 10,000 investment over the years. expected amount after 5 Years is ₹405,518. Rajat Chandak 17 Feb 15 4.03 Yr.
Manish Banthia 19 Sep 13 5.45 Yr.
Priyanka Khandelwal 15 Jun 17 1.71 Yr.
Housing And Urban Development Corporation Ltd.
Aqua Space Developers Pvt. Ltd.
To provide regular income, liquidity and attractive returns to the investors through an actively managed portfolio of debt, equity and money market instruments. Income may be generated through the receipt of coupon payments, the amortization of the discount on the debt instruments, receipt of dividends or purchase and sale of securities in the underlying portfolio. SBI Debt Hybrid Fund is a Hybrid - Hybrid Debt fund was launched on 9 Apr 01. It is a fund with Moderate risk and has given a CAGR/Annualized return of 8% since its launch. Ranked 5 in Hybrid Debt category. Return for 2018 was -0.2% , 2017 was 8.5% and 2016 was 12.5% . expected amount after 5 Years is ₹385,859. Dinesh Ahuja 1 Jul 11 7.75 Yr.
Ruchit Mehta 1 Jul 11 7.75 Yr. Aims to generate long term capital appreciation and current income by investing in a portfolio of equity, equity related securities and fixed income securities. Principal Hybrid Equity Fund is a Hybrid - Hybrid Equity fund was launched on 14 Jan 00. It is a fund with Moderately High risk and has given a CAGR/Annualized return of 11.3% since its launch. Ranked 1 in Hybrid Equity category. Return for 2018 was -1.5% , 2017 was 36.3% and 2016 was 10.1% . AMC Principal Pnb Asset Mgmt. Co. Priv. Ltd.
expected amount after 5 Years is ₹447,579. Bekxy Kuriakose 21 Mar 16 2.87 Yr.
P.V.K. Mohan 27 Jan 12 7.02 Yr.
Aditya Birla Sun Life Regular Savings Fund is a Hybrid - Hybrid Debt fund was launched on 22 May 04. It is a fund with Moderately High risk and has given a CAGR/Annualized return of 9.6% since its launch. Ranked 4 in Hybrid Debt category. Return for 2018 was -2.2% , 2017 was 15.5% and 2016 was 13.1% . Satyabrata Mohanty 18 Jun 09 9.63 Yr.
Vineet Maloo 26 Aug 15 3.44 Yr.
Pranay Sinha 26 Aug 15 3.44 Yr.
An Open ended Balanced Scheme with the objective to generate long term growth of capital and current income, through a portfolio with a target allocation of 60% equity and 40% debt and money market securities. The secondary objective is income generation and distribution of dividend. Aditya Birla Sun Life Equity Hybrid 95 Fund is a Hybrid - Hybrid Equity fund was launched on 10 Feb 95. It is a fund with Moderately High risk and has given a CAGR/Annualized return of 19.6% since its launch. Ranked 3 in Hybrid Equity category. Return for 2018 was -5% , 2017 was 25.9% and 2016 was 8.9% . expected amount after 5 Years is ₹436,710. Mahesh Patil 15 Jan 14 5.05 Yr.
Dhaval Shah 23 Nov 16 2.19 Yr.
To provide investors long term capital appreciation along with the liquidity of open-ended scheme by investing in a mix of debt and equity. The scheme will invest in a diversified portfolio of equities of high growth companies and balance the risk through investing the rest in a relatively safe portfolio of debt. SBI Equity Hybrid Fund is a Hybrid - Hybrid Equity fund was launched on 19 Jan 05. It is a fund with Moderately High risk and has given a CAGR/Annualized return of 15.6% since its launch. Ranked 10 in Hybrid Equity category. Return for 2018 was -0.1% , 2017 was 27.7% and 2016 was 3.7% . R. Srinivasan 1 Jan 12 7.09 Yr.
Dinesh Ahuja 1 Jan 12 7.09 Yr.
To generate long term capital appreciation and current income from a portfolio that is invested in equity and equity related securities as well as in fixed income securities. 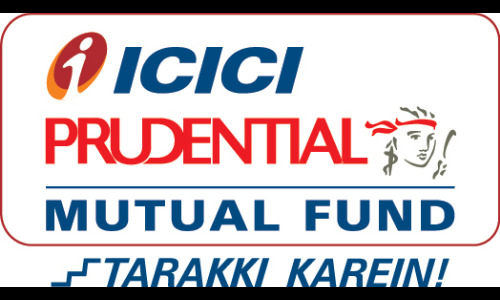 ICICI Prudential Equity and Debt Fund is a Hybrid - Hybrid Equity fund was launched on 3 Nov 99. It is a fund with Moderately High risk and has given a CAGR/Annualized return of 14.3% since its launch. Ranked 7 in Hybrid Equity category. Return for 2018 was -1.9% , 2017 was 24.8% and 2016 was 13.7% . Sankaran Naren 7 Dec 15 3.23 Yr.
Atul Patel 3 Aug 16 2.57 Yr. 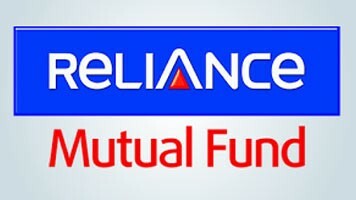 The investment objective of the Scheme is to generate regular income through investments in fixed income securities and capital appreciation / dividend income through investment of a portion of net assets of the scheme in equity and equity related instruments so as to endeavour to make periodic income distribution to Unit holders. Income may be generated through Coupon payments, amortization of discount on debt instruments, receipt of dividends or the purchase and sale of securities in the underlying portfolio. Under normal market conditions investment will be made in fixed income securities, money market instruments,cash and cash equivalents while at the same time maintaining a limited exposure to equity markets. The Scheme will endeavor to enhance overall returns through appropriate investments upto a maximum of 25% of Net Assets into equity and equity related instruments. UTI Regular Savings Fund is a Hybrid - Hybrid Debt fund was launched on 16 Dec 03. It is a fund with Moderately High risk and has given a CAGR/Annualized return of 9.7% since its launch. Ranked 10 in Hybrid Debt category. Return for 2018 was 3.4% , 2017 was 12.5% and 2016 was 8.9% . expected amount after 5 Years is ₹395,578. Amandeep Chopra 14 Dec 06 12.14 Yr.
Ajay Tyagi 2 Dec 14 4.17 Yr.
All the mutual funds with an equity exposure of 65% or more on an average are treated as equity asset class for taxation purpose. So the short-term capital gains meaning the gains booked with one year of the equity-oriented balance are taxed at 15%. If these funds are held for a period more than 12 months, their long-term capital gains are taxed at 10% if the gains booked exceed Rs. 1 lakh (as per the latest budget of 2018). For debt oriented Hybrid Funds tax is 20% with indexation benefit as any other debt instrument if holding is for 3 years or above. Short term is taxed at marginal rate of tax (as per tax slab). Open Free Investment Account for Lifetime at Fincash.com. Upload Documents (PAN, Aadhaar, etc.). And, You are Ready to Invest! All efforts have been made to ensure the information provided here is accurate. However, no guarantees are made regarding correctness of data. Please verify with scheme information document before making any investment. How helpful was this page ? ☆☆☆☆☆ Rated 4.5, based on 88 reviews. Shepard Technologies Pvt. Ltd. (with ARN code 112358) makes no warranties or representations, express or implied, on products offered through the platform. It accepts no liability for any damages or losses, however caused, in connection with the use of, or on the reliance of its product or related services. Terms and conditions of the website are applicable.